Morris Electric is your electrical specialist! Morris Electric is always there when you need help. We pride ourselves on our fast service. Morris Electric has been providing electrical services to Listowel for years. We offer free estimates and our services come with warranty. At Morris Electric we are Journeyman Electricians and registered apprentices. Professionalism and customer satisfaction are of the utmost importance to Morris Electric. When you call us you will receive courteous, prompt service and skilled workmanship. From our very first consultation, we can talk to you about what we are doing or offer price quotes before beginning work or proceeding with larger jobs or diagnostic situations. We offer industrial, commercial, agricultural and residential installations and services. We offer the best in electrical parts and service, with a firm guarantee of quality work. 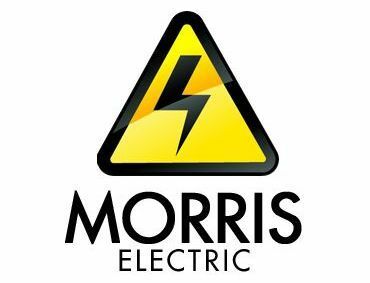 Morris Electric repairs all electrical problems in Listowel and surrounding areas. Call us today at 519-595-4176. We offer both installations and service work on general electrical and specialize in light industrial work in Listowel and surrounding areas. With our professionally trained and experienced staff, you are in good hands. Whether you have a general electrical project or a light industrial work, we can handle it for you with dedication and the kind of efficiency you’d expect from experts.